VietAbroader, in conjunction with New York University School of Law’s Asia Law Society, will organize the VietAbroader Career Conference (VACC). The conference will take place on Saturday and Sunday, April 24-25, 2010 at the New York University School of Law. VACC marks the first offshore project implemented by VietAbroader, and is a pioneering career conference organized in the U.S. focusing on a wide range of professional opportunities in Vietnam. VACC provides a venue for leading companies and organizations in Vietnam to discuss career opportunities with top-notch students and young professionals in the U.S.
VietAbroader is a student-run organization whose mission is to empower Vietnamese youth to contribute to the sustainable development of Vietnam. It organizes educational and professional programs designed to equip Vietnamese youth with knowledge and provide them with a support network for their academic and professional development. 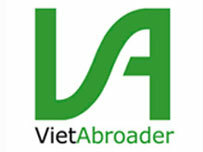 VietAbroader is the largest network of Vietnamese students and alumni in the U.S. with more than 23,000 members. For more information about the VACC follow this link to a 18 April article by Huong Le, a U.S.-educated reporter for Thanh Nien News. Full disclosure: I am one of two VietAbroader advisers; the other is Henry B. Nguyen, who is the Managing General Partner of IDG Ventures Vietnam. Congratulations, VietAbroader leadership, conference staff and participants, and thanks to the corporate sponsors for their generous support. Best wishes for a great conference!